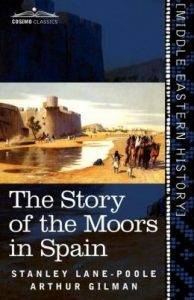 The Story of the Moors in Spain is a history of the Moorish Empire in Andalusia, chronicling the rise and fall of the Islamic empire, and with it the stymie of a “civilized and enlightened State.” Author Stanley Lane-Poole catalogues the art, architecture, religion, science, and industry that flourished with the establishment of the Muslim regime in Spain. A rare non-Christian history from the 19th century, students and researchers alike should cherish this classic text, included here with original illustrations. Born in 1854 in London, England, STANLEY LANE-POOLE was a British historian, orientalist, and archaeologist. Lane-Poole worked in the British Museum from 1874 to 1892, thereafter researching Egyptian archaeology in Egypt. From 1897 to 1904 he was a professor of Arabic studies at Dublin University. Before his death in 1931, Lane-Poole authored dozens of books, including the first book of the Arabic-English Lexicon started by his uncle, E.W. Lane. Scholar, John G. Jackson, gave the introduction to Stanley Lane Poole’s , in the Book The Story of the Moors in Spain, he quoted Dr. Bertram Thomas, former Prime Minister of the Sultan of Muscat and Oman”This scarce book was originally published in 1896.